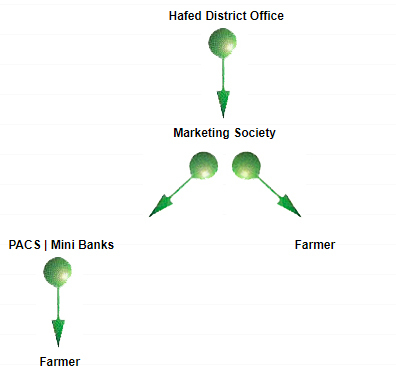 There is a Three Tier System of distribution of Inputs i.e. The Apex Federation, Wholesale Marketing Societies and PACS. Distribution of inputs is ensured through cooperative net work of 62 Cooperative Marketing Societies and about 600 Primary Agricultural Cooperative Societies (PACS).